This is our email system. 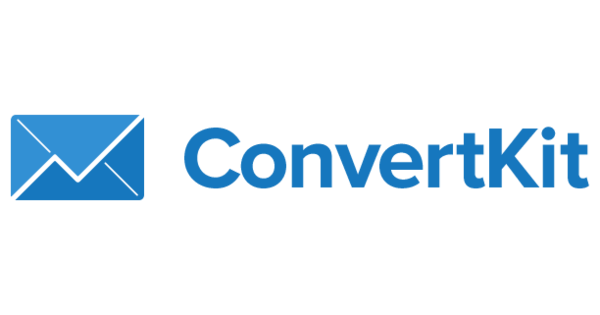 While there are dozens of software platforms to choose from, we have found ConvertKit fairly simple to use, and affordable. Google Docs, Google Sheets, and Google Slides are free alternatives to Microsoft Word, Powerpoint, and Excel. You never have to worry about losing your work, since it is all saved automatically to the internet. It’s easy to share and collaborate on projects as you grow and hire team members. This is what we use to put countdown timers onto our sales pages and into our emails. It creates a sense of urgency, and works perfectly in our automated system. Perfect for 1-1 consults, market research interviews, group meetings, team meetings, webinars, and teleconferences. Easy to use and inexpensive (or free, depending on what package you choose). You can also record the calls easily. We love hosting our site on Squarespace! You don’t have to know how to code. Squarespace provides simple, aesthetically pleasing drag and drop website templates. Easy peasy. If your computer crashes, or your hard drive fails, you’ll be safe as long as you back all your work up to dropbox. Free until you reach a certain amount of storage. This simple, free app has been instrumental for us. It keeps us organized and on track, both in our business and in our personal life. Don’t stress about your accounting - Waveapps makes it all very simple (and automated!). This is a fabulous tool for scheduling out social media posts. No need to live on social media. Spend one day a month planning content, and then set it all out on autopilot. This is our preferred payment processing system. It doesn’t just protect the buyer, it will protect you (the seller). It is secure, and will always give you instant access to your cash as you scale, as opposed to other systems that lock up your funds. WE'VE DESIGNED A FOOLPROOF 5-PHASE PROCESS TO SAVE ENTREPRENEURS LIKE YOU FROM WASTING TIME, ENERGY, AND MONEY ON THEIR BUSINESS. WE’LL BE STRAIGHT WITH YOU: IT TAKES A LOT OF WORK TO GET STARTED. BUT, BY IMPLEMENTING OUR TRIED AND TRUE SYSTEM, YOU CAN BUILD MOMENTUM IN YOUR BUSINESS QUICKLY - EVEN IF YOU’RE STARTING FROM SCRATCH. IN JUST 13 MONTHS, WE TOOK OUR BUSINESS FROM ZERO TO OVER A HALF-MILLION DOLLARS IN SALES! Our program, Launch, will take all the guesswork out of growing your business, and drastically speed up your success. After working through Launch, and applying our strategies, you can walk away with a thriving business that runs on auto-pilot while you live your life. "What a relief not to feel like I had to do it alone anymore! I have been able to grow my business entirely during my daughter and son's nap time. Since joining the program, I have created multiple mini-courses, one signature course (with a few more big ones brewing), had multiple private clients, and filled a group program. "When I signed up for Launch, I felt stuck in my business. I was guessing - downloading freebies, and making assumptions that were getting me nowhere. I knew I needed help to figure it out. The day I signed up for Launch, I felt sick to my stomach. Would this work? Would I actually get what I needed? But that quickly wore off as I started to dive into the material and really build something that I was excited about! I have now created a brand that I am incredibly passionate about. I have started working with 5 different clients, have automated so many systems, and am creating more time and money. "Before I found Launch, I was working a full-time job that was asking a lot of me. With two kids and a husband, I knew that continuing on this path meant limited time with my family. I hated the idea of marrying my best friend only to spend over 80% of my life away from him. I was nervous to invest in the program, but as soon as I got started, I knew I made the right decision. The modules were easy to follow and gave exactly enough information to get into action and get results quickly. In 10 months, I’ve created a brand, left my full time job, and now I can flex my business around my family. I truly believe anyone with the drive and passion can do it too, but step #1 is getting started with the right program, Launch!"